This is the eighth crime novel in the series featuring Greger Thulin. Just like in the other novels the story revolves around an underlying theme, and this time I would say that it is bravery, which turns out to be an incredibly interesting theme as the basis for a crime novel. Crucified at Klädesholmen is one of the better novels in the series. 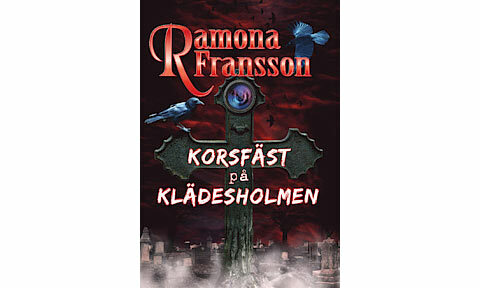 Ramona Fransson does her own thing; she has a unique narrative style that she has perfected in the last 3-4 novels, without losing her own voice in the process. A fatal assault on an old man at a cemetery in Gothenburg is the beginning of a series of bizarre murders. There are witnesses to the murder, but why are they not stepping forward? Priest Waldemar Eklund’s wife finds a cross in their yard at Klädesholmen on Tjörn. A young naked dead man is tied to the cross and he does not have any visible injuries. When another crucified naked victim is found, Greger Thulin becomes convinced that the killer is a psychopath who hates religion.